Harajuku duo sporting interesting eclectic street styles while out and about on the street. 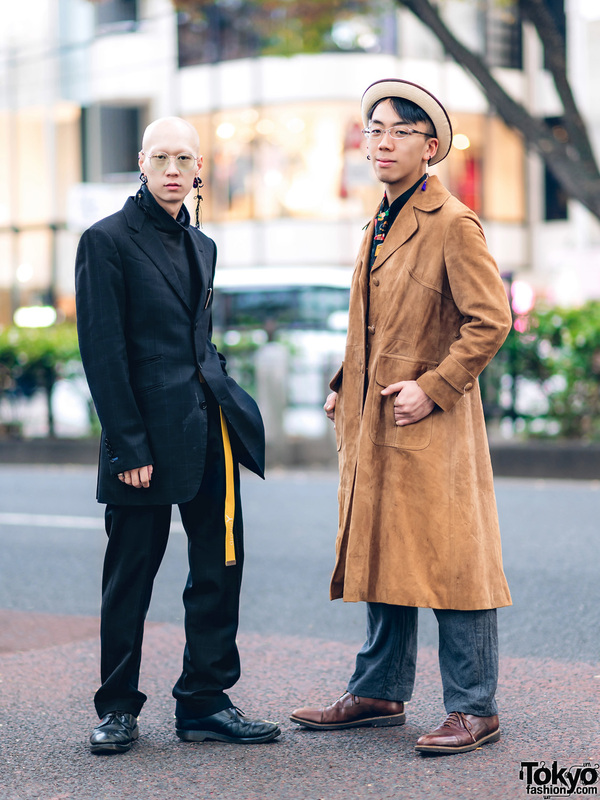 Harajuku guys sporting minimalist streetwear styles w/ plaid suit, coat outfit, lace-up shoes and accessories. Japanese model and student on Harajuku street sporting a chic contemporary look with wrap around mirrored glasses and a faux fur jacket. Japanese model and Pop Idol A-pon in Harajuku sporting a retro vintage look while out and about on the street. Japanese freelance model in a drawstring jacket, denim collared shirt, flared pants, platform shoes and logo print bag. 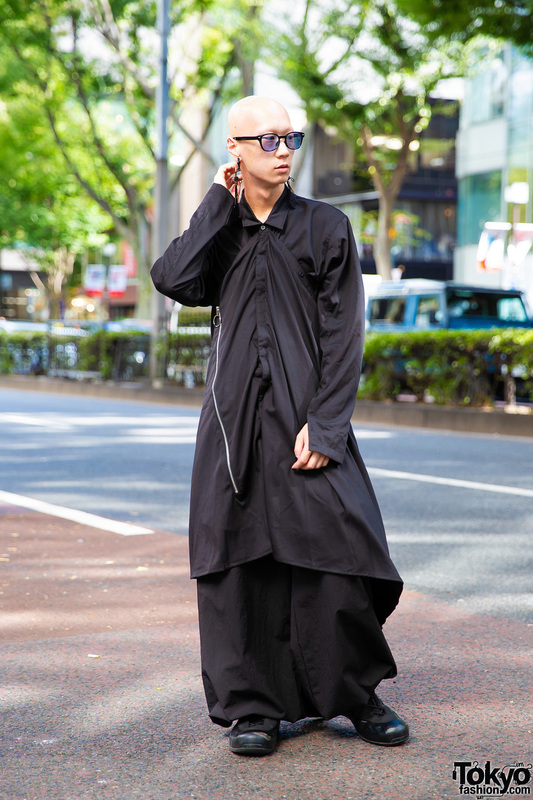 Japanese model and musician Shouta in Harajuku sporting an all black minimalist streetwear ensemble with tassel earrings, sunglasses and watch. Dempagumi.inc’s Risa Aizawa and model RinRin Doll on the Harajuku street sporting chic casual and printed ensembles one early evening.